October 15, 2014. 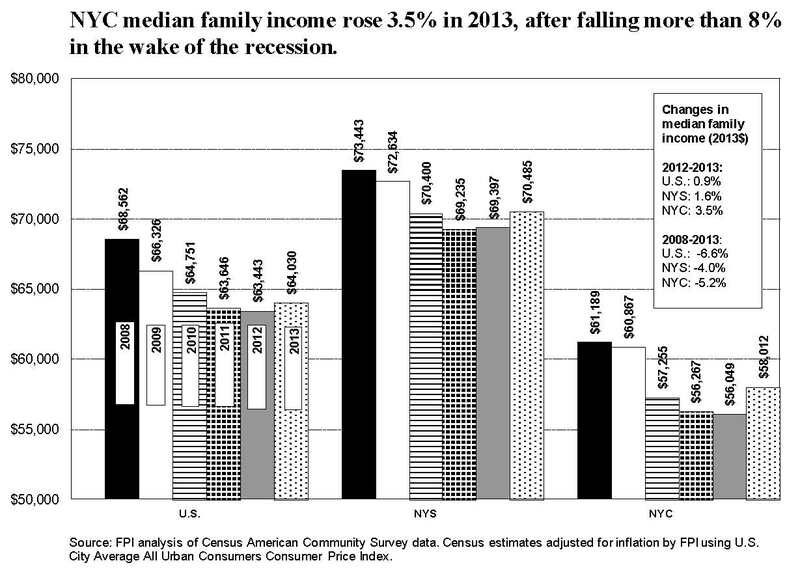 After five years of decline, median family income in New York City rose by 3.5 percent between 2012 and 2013 in inflation-adjusted terms, according to recently-published Census data. This compares with increases of 0.9 percent at the national level and 1.6 percent for all of New York State, including the city. October 9, 2013. 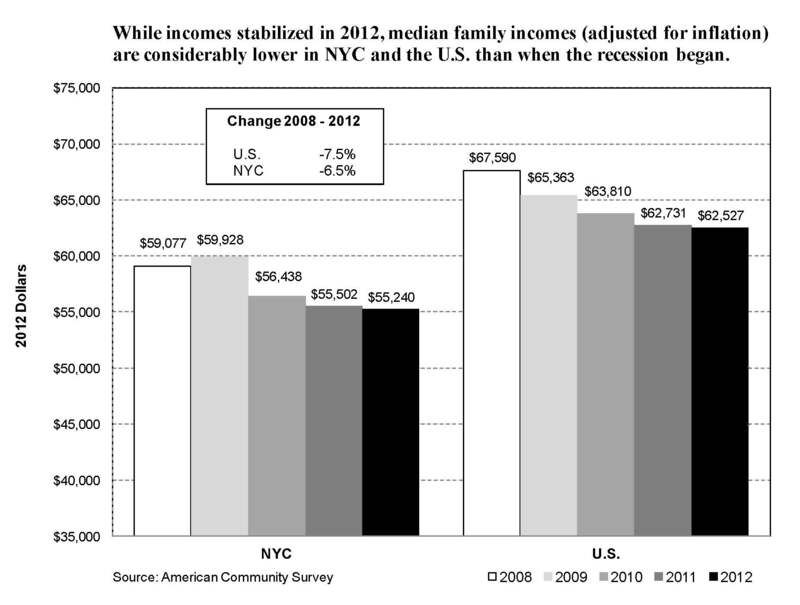 Income inequality has emerged as a major issue in the 2013 New York City mayoral campaign, and media coverage has frequently included mention of FPI’s research on income polarization. September 19, 2013. 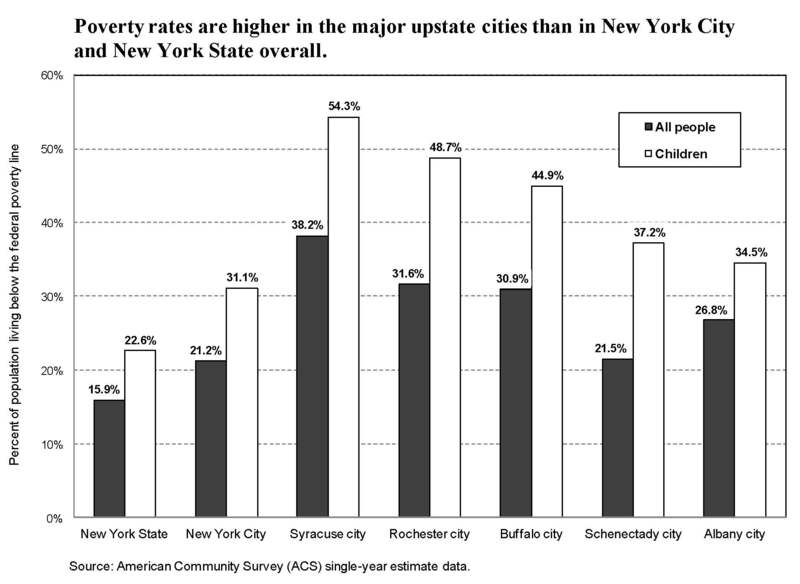 The statewide family poverty rate (i.e., the percentage of families with incomes below the poverty level) in New York State was virtually the same in 2012 (12.2%) as in 2011 (12.3%). These poverty rates were greater, to a statistically significant degree, than New York State’s family poverty rate of 10.3% in 2007, the year before the onset of the Great Recession in December 2007 nationally and in New York State in the Spring of 2008.